Harm reduction group Energy Control – famous for their international and local drug testing services – have collaborated with Australia’s DanceWize to do some research into safer drug use practices. We will see how drug use patterns and safer use practices differ between Spain and Australia, countries with quite different policy settings. 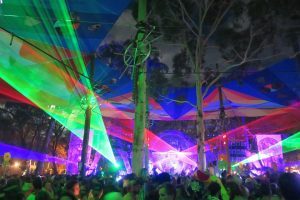 If you have been to festivals or dance parties recently, please complete the survey and help harm reduction groups understand what’s really happening! Note Feb 2012: A different (much shortened!) version of this blog post has now been published in the peer-reviewed journal Addiction. Much of the research and discussion about drugs and the internet has focused upon either buying drugs online or seeking drug-related information online. News coverage has particularly focused upon the capacity to buy drugs from web vendors (eg, Psychedelic drugs just a click away online, Deadly drug on the net). In a paper I will be presenting next week at #comtech2011, forum users discussed their views on talking about drugs in public online forums and their strategies to avoid the risk of incriminating themselves. Note: An edited version of this article has also been published at Injecting Advice, a site for NSP workers and injectors. Thanks Nigel! Drugs, Internet, Censorship from Monica Barratt on Vimeo. I made this from the 50 words most often used in the titles and bylines of 36 news articles published in tabloids/broadsheets on the topic of drugs and the internet (2001-2009). Author Monica BarrattPosted on April 27, 2011 Categories ContentTags drugs, fun, mediaLeave a comment on I love Wordle! Last Friday, I had the pleasure of attending a presentation by Ray Stephens of Moreland Hall. Ray spoke about ‘Using Web 2.0 to engage with clients and reduce drug-related harm’. Web 2.0 is an interactive, immersive network where participants consume and create content and connections. Young people, arguably the target group of much alcohol and other drug ‘interventions’, are primarily using the internet to source health information. Online networks facilitated through web 2.0 allow people to collaborate, gather and distribution information. Illicit drug use is no exception to this trend! Ray argues that web 2.0 is where alcohol and other drug treatment services need to be focusing their attention if they want to capture the attention of the majority of young people who already use these online networks to discussion drug use. The examples of online engagement in the AOD field that Ray reviewed were websites with comment facilities (like Somazone), websites that host multiple blogs (like Between the Lines) and Moreland Hall’s website Bluebelly, which is pushing the boundaries in its use of wiki articles and forthcoming feature film. From the audience, we discovered the innovative work currently underway at the Burnet Institute using Facebook. The Queer as F**k project follows the lives of 5 fictional gay men who live together in a share house in Melbourne. The characters have their own facebook pages and interact together on the site. The main action occurs in short film clip episodes uploaded to youtube and disseminated through the facebook page. Health and social issues are introduced through the films and online interaction. Chris Raine, founder of Hello Sunday Morning was also in the audience and had a chat to me after the show. HSM is a collective of bloggers who have taken 3, 6 or 12 months off drinking to examine why they drink and develop a new relationship with alcohol. Hello Sunday Morning uses similar logic to Queer as F**k: people who follow the experience of these individuals and interact with them will be engaged and more open to learning and experimenting with their own behaviour change. The difference is that the HSM people are real, whereas the Queer as F**k characters are fictional. There is something particularly appealing about HSM bloggers being real. Alongside the importance of using web 2.0 to engage with people about drug issues, Ray also argued for the opening up of AOD workplaces to web 2.0. How can people who work in this field become familiar with web 2.0 when much of it is blocked by our organisation’s firewalls? How can innovation be stimulated in organisations where facebook, youtube and twitter are seen as not work related? * Thanks Ray for starting this conversation. Let’s continue it!